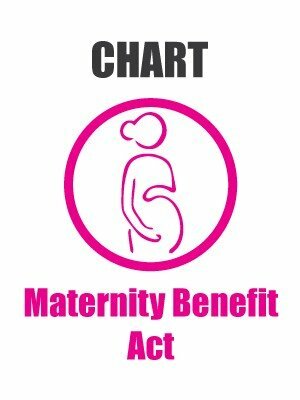 The penal provisions of Maternity Benefit Act provides that non-display of Chart of the Act may involve punishment with imprisonment which may extend to one year with fine which may extend to Rs.5000 or with both. 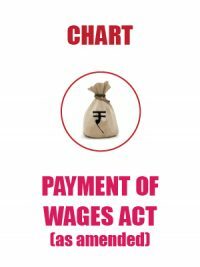 Since such Charts are not available in the market, the Labour Law Reporter has devised the Chart for display which will be printed by 5th May, 2017 and can be available against Rs.140 each. 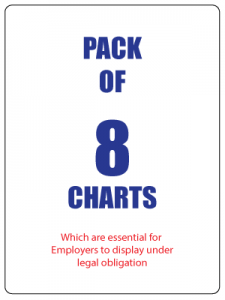 If required by courier or registered post, Rs.60 be added for one or even more Charts together. 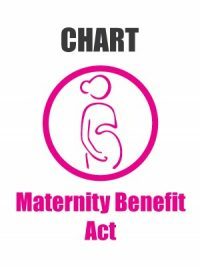 The amended provisions of Maternity Benefit Act as notified in the official gazette dated 28.3.2017 in its section 11A provide that every establishment having fifty or more employees shall have the facility of creche within such distance as may be prescribed, either separately or alongwith common facilities. Provided that the employer shall allow four visits a day to the creche by the woman, which shall also include the interval for rest allowed to her. In context with above, it is not clarified as to whether there should be 50 women employees for providing of creche facility. In this context, reference is made to section 48 of the Factories Act wherein it clearly stated that there should be 30 women employees for providing of creche facility. 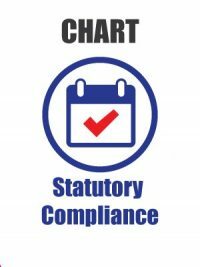 By giving effect to the provisions of amended section the authority may insist to provide creche facility by an employer who is employing 50 or more employees but there are only 4 women employees. Needless to reiterate that the creche facility calls for heavy expenditure and a separate room with additional requirements. There are other grey areas which need to be understood and as such the attached article will be an eye opener for the Ministry of Labour and Employment to whom a representation has been made by the Labour Law Reporter.